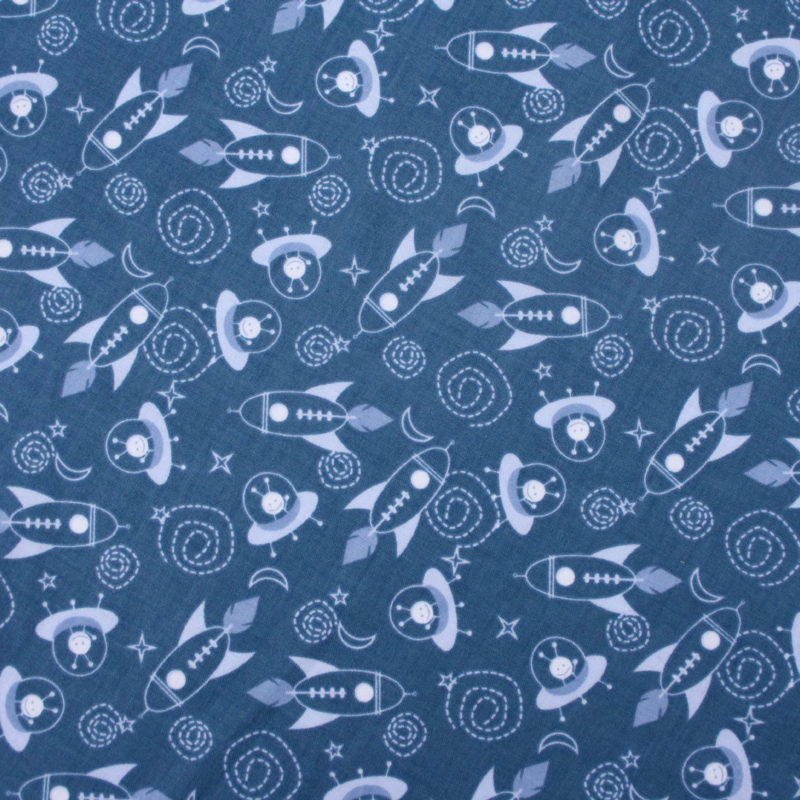 This is a really fun Space explorer 100% cotton print. The background is a beautiful shade of soft mid blue, with a white print incorporating rockets, spaceships, Martians, stars and moons. This print is from our premium range of lovely designer cottons, and has a great smooth feel. It makes a great Droolbuster, and looks particularly stylish with the Royal Blue or Purple Terry Towelling options. Droolbusters are a perfect and practical accessory for any dog that drools. They are available in 6 sizes.